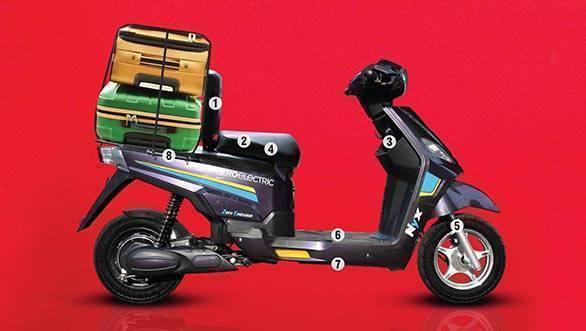 Hero MotoCorp's electric bike arm, Hero Electric, has launched the NYX scooter at Rs 29,990. It is powered by a 48V 24AH VRLA-AGM battery, and the Brushless DC (BLDC) motor develops 250W. Also, the NYX has a fire-resistant wiring harness and a battery charge-conservation feature during long storage times. 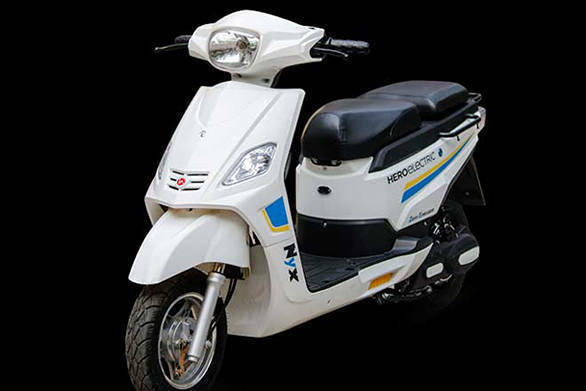 Hero says that the NYX has a top speed of 25kmph and can travel 70km per charge. 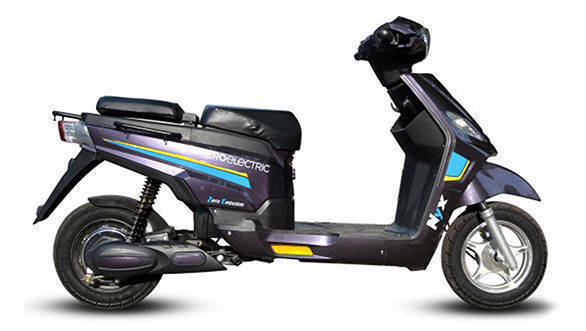 As is the case with most electric bikes, the NYX requires no registration certificate. Also, one does not need a license to ride it. The NYX may be an all-electric scooter, but Hero has managed to give it a conventional scooter's design. The area behind the apron has a glovebox with an integrated bottle holder. The floorboard appears large enough to accommodate riders of all sizes. This space can also be used for carrying luggage. The seats are split, and Hero says these are wide and comfortable. The rear seat can also be adjusted to carry luggage. There are grab rail not only on the rear but also on both sides of the passenger seat. These can be used to tie down the luggage with a bungee cord. The scooter also gets telescopic suspension up front, which along with the large 16-inch wheels should offer greater stability on broken and uneven roads. The 160mm ground clearance should also help in this regard. The Hero NYX sits in the Super Economy Series of the Hero Electric bike range. Other options in this range include the Optima, Maxi, Cruze and the Wave. While electric bikes may not be very popular, they do serve as a cheaper alternative to fossil-fueled scooters, especially when running errands or commuting over short distances. These bikes also make sense as means of transport in large educational campuses, hospital premises and factories.